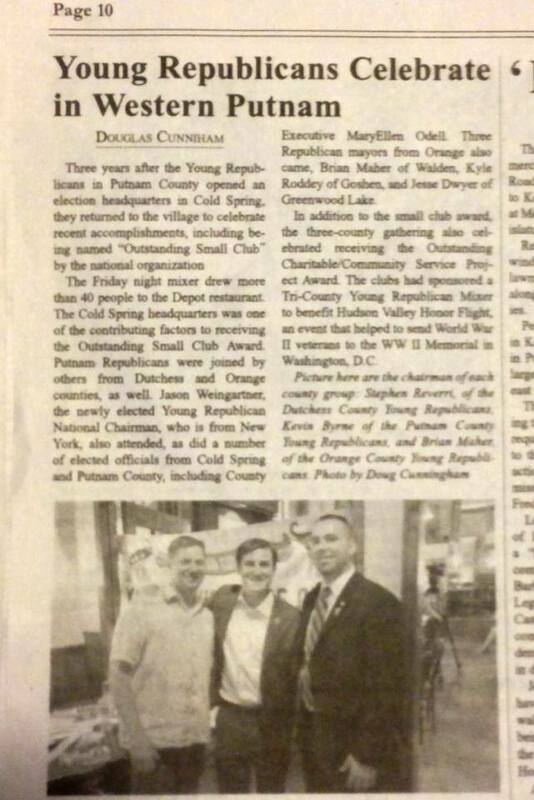 The Putnam County Young Republican Club has been acknowledged in various news outlets for its work on campaigns, as well as its work to better the community at large. Those were the words of Kevin Byrne, president of the Putnam Young Republicans when the group recently honored County Clerk Dennis Sant for his position to protect the privacy and safety of Putnam residents by refusing to provide the names and addresses of licensed gun owners to the Westchester based Journal News, which had intended to publish the information. “Dennis, like Teddy Roosevelt, is an American hero for standing up for what was right,” said Byrne. The organization welcomes registered members of the GOP aged 18- 40. Byrne said associate memberships and “Young at Heart” memberships for those over 40 also exist. 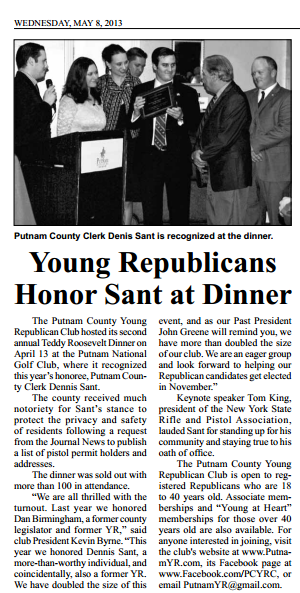 "Sant Honored by Putnam Young Republicans"